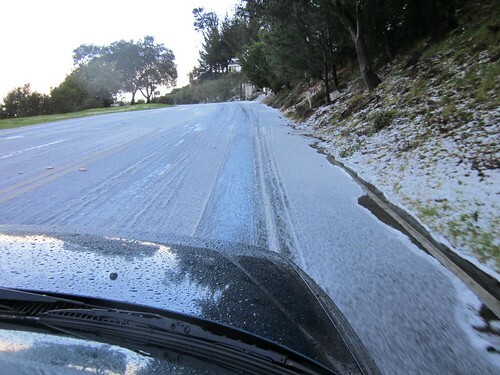 Jenn and Romy: It Snowed in Oakland Today! 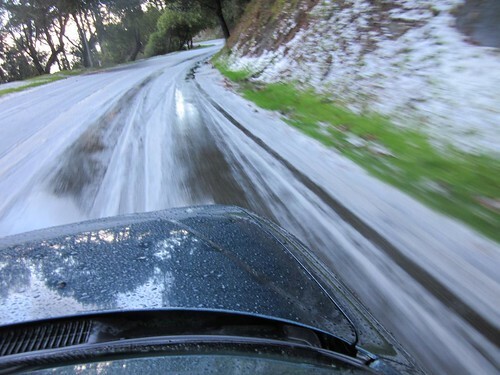 This morning we got a lot of thunderstorms rolling through the Bay Area, and apparently, one of them dumped some snow on the hills! This rarely happens in Oakland, but it happened today. It wasn't cold outside, so I guess the storm dumped a bunch of frozen rain and it came down so fast it didn't get a chance to melt, or something like that. 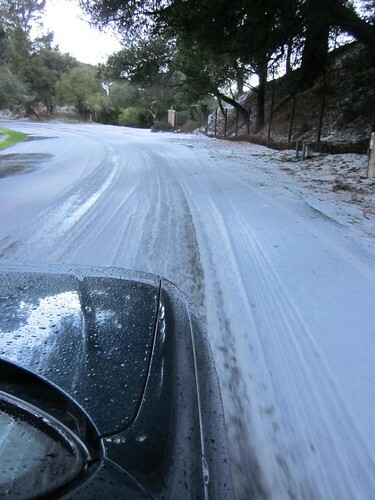 While we were driving to school, the road and surrounding hillsides were coated with a thin layer of white. 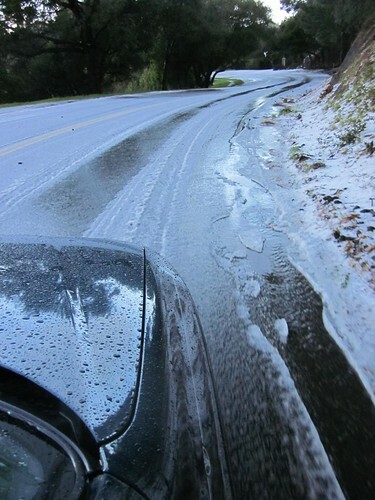 I'm sure it didn't last very long, because it was already melting when we saw it, but we got some pictures.